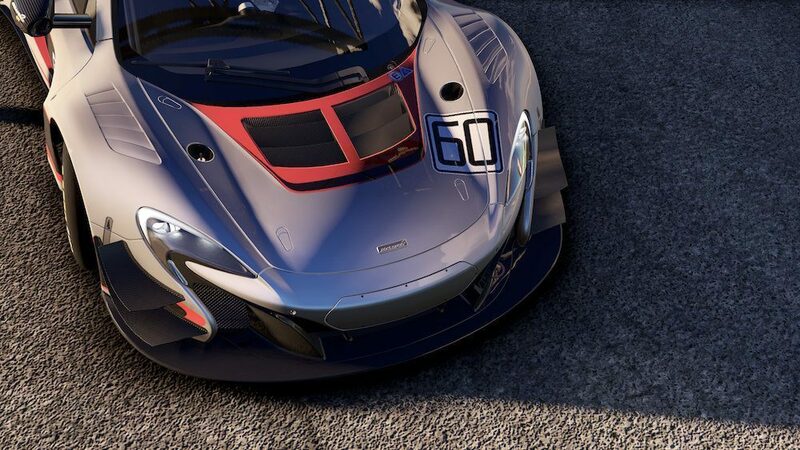 Discussion in 'Project CARS 2' started by GTPNewsWire, Mar 1, 2017. Information about features that will enhance your pCARS 2 gameplay experience just a tad has arrived. This article was published by Ameer Zaita (@Ameer67) on March 1st, 2017 in the Project CARS 2 category. McKiernan, ghostrider135, IngRobNy and 4 others like this. paoloevans, brockie, Coquico and 3 others like this. I don't want to be nit picky but if there are limited combinations, the combinations aren't endless. Coquico, Markeeez18, breyzipp and 3 others like this. Uhm, sounds interesting. Maybe i will dig Gran Turismo and end my misery about last few GT titles. This game seems like it's going to be excellent. I hope it delivers! And it may be GTS killer. Also, we're hearing more about this game than GTS. Coquico, davidt33, Turnaround and 2 others like this. yes... All cool features but the core if the game? This game may just set the standard for features in a racing sim. Fingers crossed it all works smoothly. Could be the go to game of this console generation for offline circuit racing and maybe online too. Rubencho, SeriousFox, Mike_grpA and 6 others like this. McKiernan, Titzon Toast, davidt33 and 1 other person like this. Can you believe all the Project Cars 2 news in this short space of time, absolutely killing GT Sport. What a wonderful new year of new racing games, this is going to be amazing . Coquico, Scuderia Paul, davidt33 and 3 others like this. Project CARS 2, the only racing sim I want for 2017. All the others are secondary. JulesDennis, Coquico, TexasTyme214 and 3 others like this. What are you talking about? Project Cars is not "simcade", neither are Forza Motorsport or GranTurismo. Simcade is a label reserved for games like GRID Autosport and DiRT. I would say that right now the most "legit" sim out there is iRacing but that does not mean that titles like GT, Forza and pCars are "simcade"... I would say that Project Cars with all assists off is the most difficult of the three but something being hard does NOT make it more "realistic". I am curious why you deem the three titles "simcade" (which is a label the Darren at Inside Sim Racing coined). I understand that as far as rules and flags and the like the three titles have a ways to go but the Driving model of all three is quite realistic and not based in Arcade physics whatsoever. Wolfe, SeriousFox, Dresden and 1 other person like this. PC2 will be released on both consoles. You can just have both. The multi-class racing isn't new. It was there in PC1. Also, with the 30 different classes with less than 200 cars, I can only suspect that two classes will be fully decked out (GT3 & LMP2), and the others will have 1-3 cars. GT has been brain dead for years. Alive? Yes. But not functional. P Cars is definitely the future. This Q&A is very helpful. PD can't even keep their "pitstop" site active. Really? TIL GTR, GTR2 and GT Legend are "funny driving games". SeriousFox, Bealdor and F1Racer68 like this. He was not referring to those games as funny. He is saying prior to and including P Cars, SMS has made 'funny' racing games. I completely disagree but it's a simple misunderstanding. All I gotta say is thank God another developer has come aboard. If not for P Cars, PS4 racing would consist of mostly Gran Turismo...in other words, we'd die of starvation. "something being hard does NOT make it more "realistic""
And don't even get me started on the flaws and lacking features in AC that prevent it from being a "legit sim". None of the current crop of "sims" can truly claim to be a "sim", because they all lack some key elements. So far, pCARS2 looks to be the closest yet. If you discount the few bugs in pCARS1 it is also by far the closest of the current crop. McKiernan, Dresden and diesel97 like this. Everything presented in the article will be available on all 3 platforms equally. All the "game features" are the same for all 3 platforms. Everything we talked about so far. The main differences for the PC version are "technology features" since PC is a more open platform. Extra input/output device support, or triple screen rendering...things like this. But "multi-class racing"...of course this will be on all 3 platforms. It would be _more_ work for us to hide this from PS4 for example..we don't like more work for nothing. 88GTA, jake2013guy, Turnaround and 2 others like this. Dresden, Mike_grpA and Johnnypenso like this. Will there be no triple screen support for PS4? As @IanBell @The Owl @The_American have mentioned, there will be DLC cars. Can 1 single PS4 unit drive 3x 1080p screens? I think if you chain together some XBox's you could do multi-monitors correct? Never tried it myself. Correct, one PS4, one screen. If you had 3 PS4's,sorry I should have wrote that. Just curious is Sony is still supporting this? Never went to the PS4 as I switched back to PC when pCARS1 came out. With such a big focus by the industry on VR, I'm just curious if this method of triple screen support is still even "a thing"? I'm actually not sure either? That's why I asked them. The hardware/OS would have to support it before the game could even offer it. So I guess the bigger question is.... does PS4 still even support this? Yes, I know the PS3 did, but don't recall ever seeing anything definitive about it for PS4. Yeah,I'm going to look into it. My son's buddy is selling his PS4.